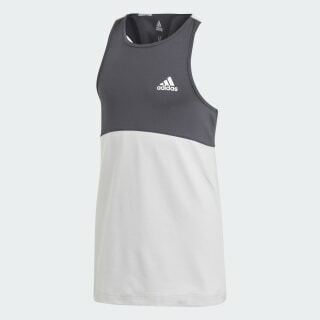 A long tank top designed to manage moisture. Refresh your workout routine in this junior girls' training tank top. The stretchy top features sweat-sweeping Climalite fabric to help you stay dry, rep after rep. With a long length for extra coverage, it has a twisted back construction and big blocks of colour for a touch of style.